• Healing the Terrorist Within! • Castner, Dr. Alice Z. The AZCs of Self-Esteem is based upon the premise that we can make better use of our lives, that it is possible to change negative self-esteem by focusing on thinking, stating our problems, and seeking solutions. Nonproductive feelings can be changed into productive ones that lead to love and true acceptance of self and to authentic self-esteem. Strategies are presented for surfacing our awareness of the impasses in our lives, for enhancing our learning, for making connections between what we are and what we are becoming. 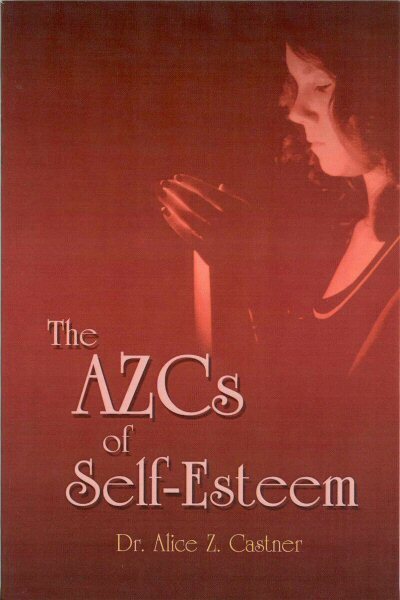 The AZCs of Self-Esteem contains practical suggestions that can easily be implemented. Born in New York City, Alice Zacharias Castner is now living in Pittstown, New Jersey and Scottsdale, Arizona with her husband. They have three children and seven grandchildren. After receiving her doctorate from the University of Maryland, following years were spent as a professor at Farleigh Dickinson University and as one of the founders of their Graduate Center for Human Development. This book reflects that experience. © Copyright 2004 – 2018. Cloudbank Creations. All Rights Reserved.